WILL YOU FAIL IN 2016? Welcome to a new year. As you wake up this morning you begin to reflect on the past year and what you accomplished and what you did not. 2016 will be a new start. You may have even scribbled your goals last night on a cocktail napkin. New Year’s resolutions are goals. Even if the goals are lofty they are still an indicator that you want to improve. It is great to want to be a better person, a better parent, a better friend. It is great to want to be healthier, stronger, and happier. It is great to want to have more financial stability, more status in your career, more success. 2016 is also an Olympic year. It is great to have dreams and aspirations of representing your country and winning an Olympic medal. Is it possible that you will fail? They will not attempt to accomplish the goal. They will overextend themselves to accomplish the goal. Choosing either option is taking an extreme. If we are static in pursuing our goal, we will never know if our goal is possible. If failure is not an option, the pursuit may not leave much room for anything else. Are we afraid of failure? Is failing so awful that it is not worth just trying to improve ourselves? It can be very easy to not start something because you need to organize everything else before you begin. You believe that everything else is more important. Household Chores, work emails, and other STUFF are still going to be there whether you begin or not. Make a list of 2 or 3 things that you have to accomplish today, tomorrow, and even next week. Make your goal one of top things on the list. The “day to day” items will still be on your list, but will not be on the top of your list. It can be very easy to focus on the negative rather than positive. Negative self-talk seems to creep up when things are going well. There is nothing wrong with feeling good about what you have achieved. Allow yourself to enjoy your accomplishments. Surround yourself with people who support you. Avoid people who are not as positive about your success. It can be very easy to stall. You may finding your mind wandering and wondering how you are going to reach your goal, instead of going out and accomplishing your goal. Reflection is okay, however set a time limit. Follow direct guidelines that you or someone you trust create for you. You need space and freedom to go at your own pace, however make sure the path leads directly to your goal. It can be very easy to make excuses, and you may abandon one goal for the other. Everyday we have to make choices. If we are unable to check items off our list, then we may give up. Remind yourself that life is short. You will not always have time to accomplish the things you want. Yet, it is not the end of the world. Spend your energy thinking of creative ways you can squeeze things in, or prioritize things later in the week. Getting everything done is a challenge. No one every said that things would be easy. Draw upon your past experiences in which you were a rock star and were able to get everything done. Be confident. It can be easy to forget that you are on track to achieving your goals. Just because everything is going well does not mean it will not continue to go that way. Remind yourself that it is okay to feel good. Having support in the process reaffirms that you are doing great, and you should continue to do so. You have to focus on yourself, even if others are not achieving their goals. Your success is not contingent upon their success. Laugh off the stress you accumulate in achieving your goals. The pressure can be overwhelming, and therefore the only choice is to balance it with something that is fun and easy. Take a break! Congratulations, you achieved the goal. With nothing else to focus on it can be very easy to fall back into the pattern of self-doubt, over analyzing, and not trusting in your next goal. I believe that that we as humans were born to be resilient, to stretch our limits, and to achieve remarkable things. Free will is a gift that allows us to choose our own path. When our goal is accomplished it is time to celebrate with the ones who care about us and support us. It is time to check that goal off our list, and believe in ourselves. I really have only seen my father cry two other times in my life, therefore I was listening. He told me that everyone spends too much time and energy on what they cannot do or what others are not doing for them. Meanwhile we are not spending the time and energy we have on the one thing we can control. Ourselves. 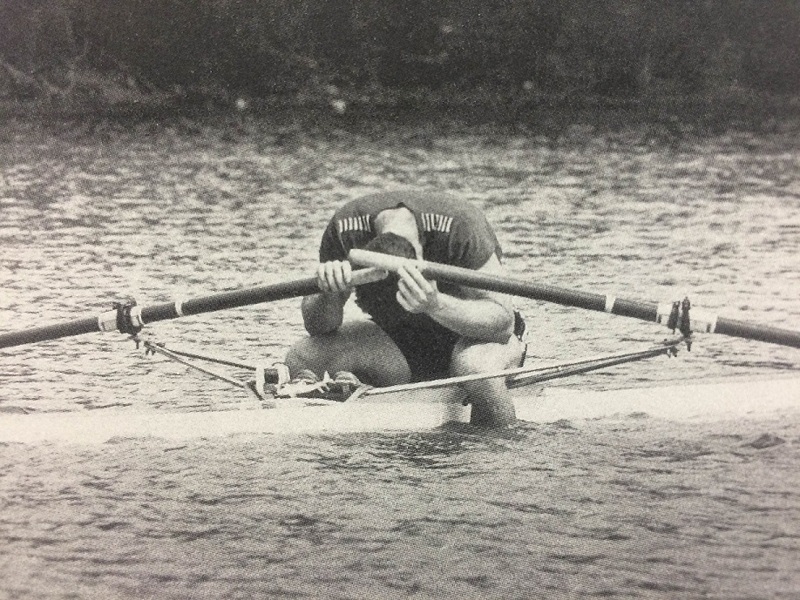 In 1984, Brad Alan Lewis failed to qualify for the Olympics in the Men’s 1x. 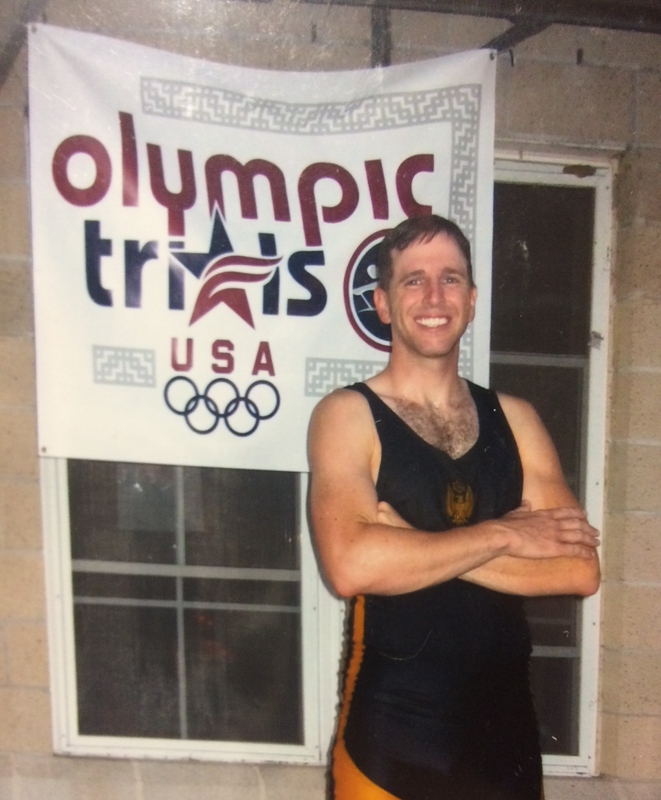 However, he did win the US Olympic Trials in the Men’s 2x, and go on to win the Olympic Gold Medal on Lake Casitas, in California. For my future Olympians, the traps above apply to you as well. Just because you are an elite athlete does not mean you do not succumb to the stresses of competition and doubting yourself. In 2008, I believe I had all my mental demons under control. Therefore, when I did not make the US Olympic Team it was a shock. In my own mind, I could not fail. Reality has seeped in over the last 8 years, and I know now that I really had no chance of making it. You have to try, because in failing you learn so much. I am always proud of that fact, and I will take comfort in that the rest of my life. ← WHICH ERG SCREEN ARE YOU? I have read several good stuff here. Definitely value bookmarking for revisiting. I wonder how a lot attempt you set to create the sort of great informative web site. I appreciate that. Thank you, and please share.